Young professionals from around the tri-county area are invited to a Night at the Museum networking event in Solomons. 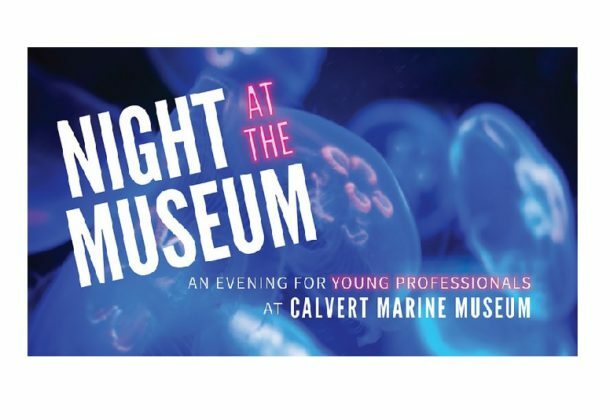 Experience the Calvert Marine Museum at this after-hours gathering hosted by the museum, The Patuxent Partnership, NextGen Professionals, the Young Professionals Group of Charles County, Calvert Chamber Young Professionals Network, and Pax River Professional Development Council. Join them from 5:30 to 7 pm Thursday, March 21, 2019, for an evening of meeting and greeting, exploration, and discovery. The museum is at 14200 S. Solomons Island Road. Come as you are. There is no cost to attend, but please register in advance on Eventbrite. Those interested can also follow the event page on Facebook for updates. Who is considered a “young” professional? Organizers say they get that question all the time since these events are about providing networking and social opportunities for young professionals in the area. While they won’t exclude anyone from participating in any of its groups or events based on age, generally they consider a “young professional” anyone between the ages of 21 and 40 in any career field who is looking to grow, learn, and connect with others in the junior- or mid-levels of their careers. This is an event specifically geared toward this age group to encourage peer networking.